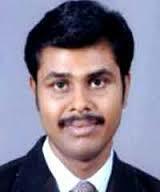 Kannabiran Bhojan is awarded PhD in from RVS College of Physiotherapy from Coimbatore, Tamilnadu, India. Currently, he is working as a neurosurgeon with neurology expertise. His international experience includes various programs, contributions and participation in different countries for diverse fields of study. His research interests reflect in his wide range of publications in various national and international journals.